The following fight on the card only lasted 49 seconds thanks to a big right hand from heavyweight Guido Vianello. Vianello recorded a first-round technical knockout against Lawrence Gabriel, who went down not long after the right flush from the Italian. Vianello, who’s trained by Abel Sanchez, immediately went for the finish as soon as he had Gabriel hurt near the corner of the ring. Vianello improved to 4-0 with all knockouts. 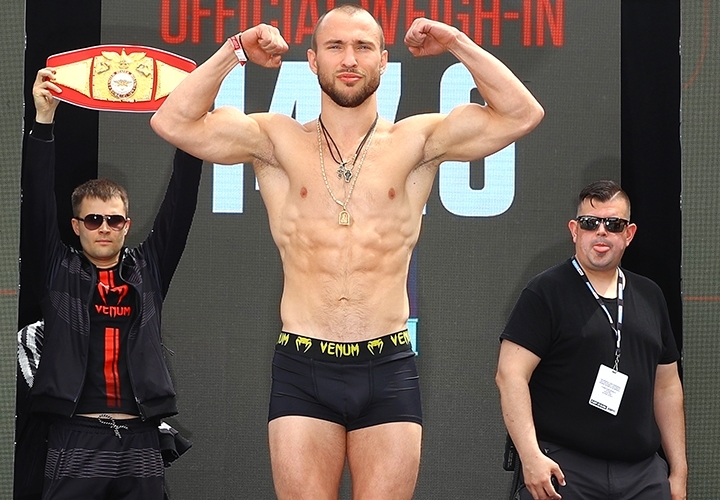 Besputin’s stablemate Janibek Alimkhanuly also had an impressive performance Friday. In a phone booth type of a fight, Alimkhanuly defeated Cristian Olivas by unanimous decision (100-90, 100-90, 99-91). Alimkhanuly controlled the inside with jabs and body shots against his Mexican foe. The third fight of the night was a six-round welterweight scrap between Ruben Rodriguez and Ramel Snegur. Rodriguez got the nod with scores of 38-38, 39-37 and 40-36 for a majority decision.